Episode 85 - We begin the Book of Peace, the Shanti Parva. After boasting to his uncle about his special clairvoyant powers, Yuddistira is blindsided by the news that he & Karna shared the same mother. Now the Dharma Raja has learned that he killed his own brother-- aside from killing one's parents, perhaps one of the worst things a person could do. The brothers spend a month outside in the city walls as a sort of penance, and are joined by the great sages of the ancient world. Narada comforts the brothers by telling stories of Karna's past. 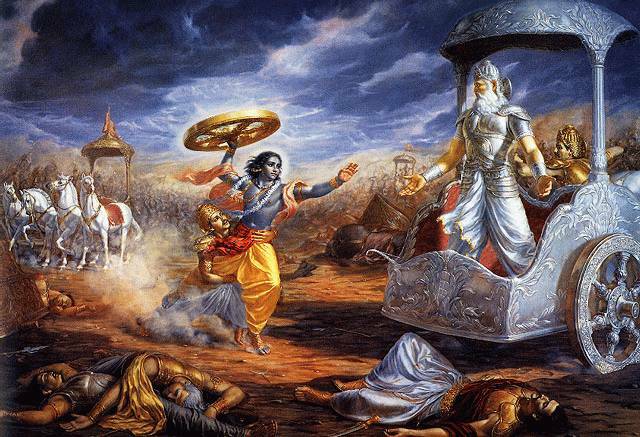 The sage argues that Karna's life & circumstances were custom-designed to spark this war and ensure its completion. We finally learn of Karna's tutelage under Rama Jamadagnya (Parasurama), and we get the story of how he was cursed for killing a Brahmin's cow.